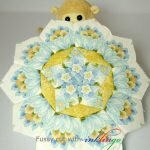 Welcome to visitors from The Quilt Show! 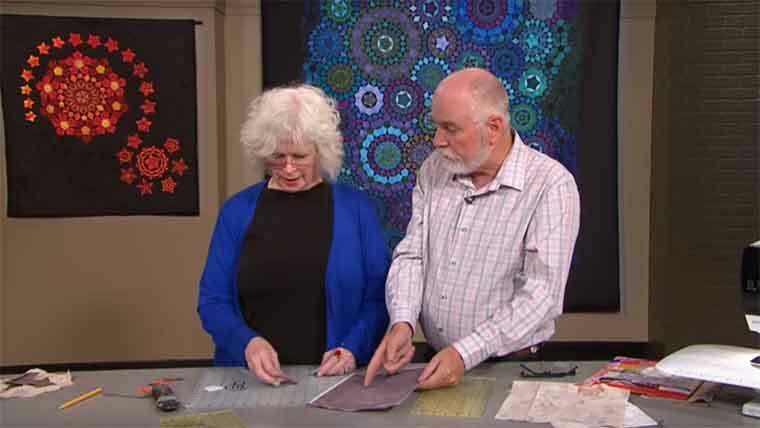 Diane Kirkhart shows Ricky Tims how to use Inklingo to print, cut and sew Passacaglia shapes to make the cover quilt on Millefiori Quilts by Willyne Hammerstein (first book). Diane has made several glorious Passacaglia variations with various methods. Spectacular! Diane is a fan of Inklingo and I was excited to see how she demonstrated it. 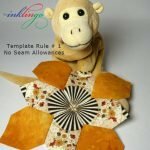 In the first 40 minutes, Diane demonstrates gluing templates for English Paper Piecing (EPP) and then gluing to zig zag by machine with Apliquick tools . 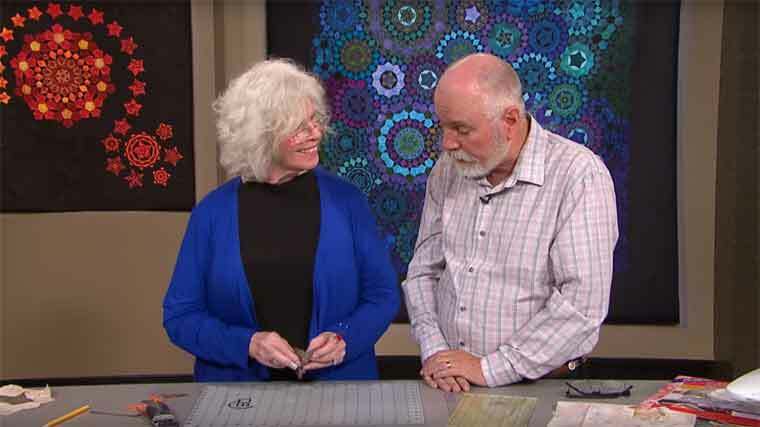 Diane only had a few minutes to show the printed shapes, so if you are curious about how Inklingo works, there is an 8-minute video on the Main Beginner’s Page —and that is where to order the free shapes. 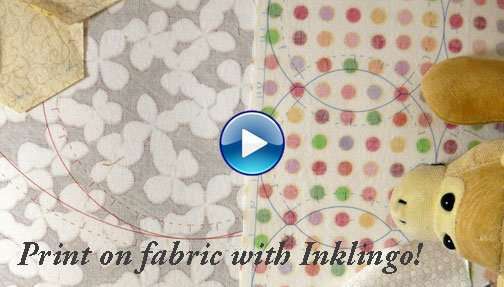 If you do order the free shapes, please let me know that you heard about Inklingo from Diane on The Quilt Show. 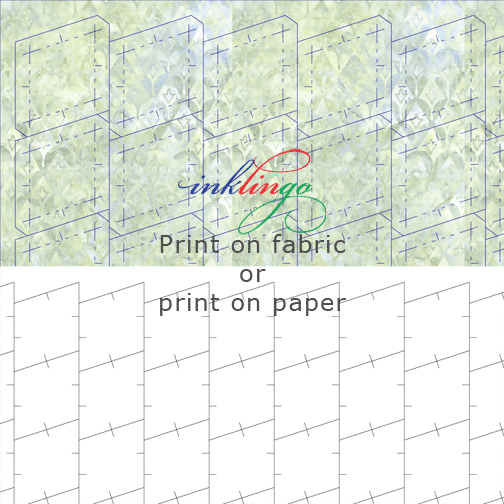 I am delighted that Diane had a chance to mention that you can fussy cut with Inklingo. Not a member—yet? For one week in March, non-members will be able watch her episode too. Very nice. I have been a member at The Quilt Show continuously since day one, January 1, 2007. I think that watching one TQS sample video might convince you to become a member too. 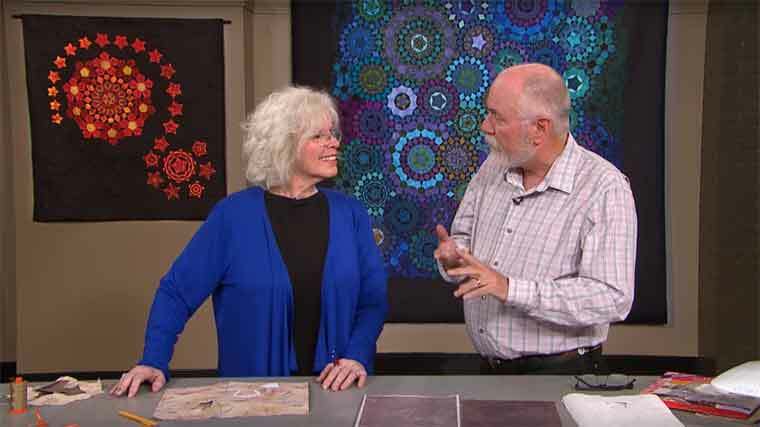 When Diane showed Ricky a piece of fabric printed and still attached to the freezer paper, he “got it.” He asked some great questions. 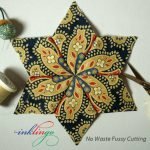 He understood immediately that you do not need paper templates or acrylic templates or glue or special tools when you use Inklingo, so it is the most economical AND the fastest way to make a quilt. 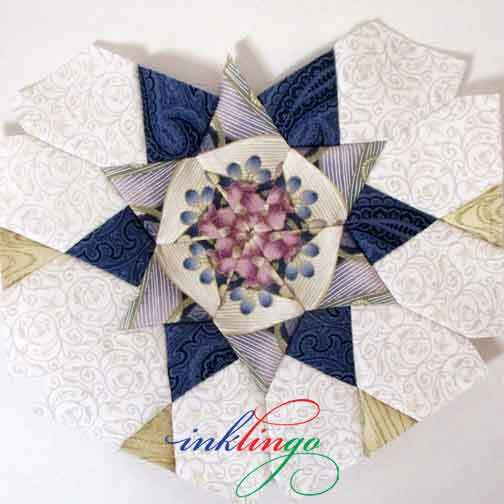 Inklingo makes it easier for anyone to start quilting AND it makes it possible to make elaborate quilts like Passacaglia in a reasonable amount of time, at a reasonable price. 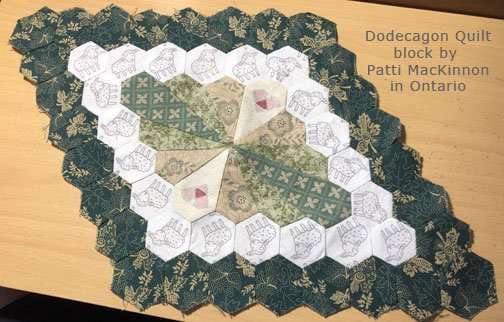 If Diane’s wonderful introduction makes you want to know more about Millefiori Quilts, there is another short video on the Main Millefiori Quilts Page (under the Shop tab) showing how to sew Passacaglia by hand OR by machine with Inklingo—in only 6 minutes. 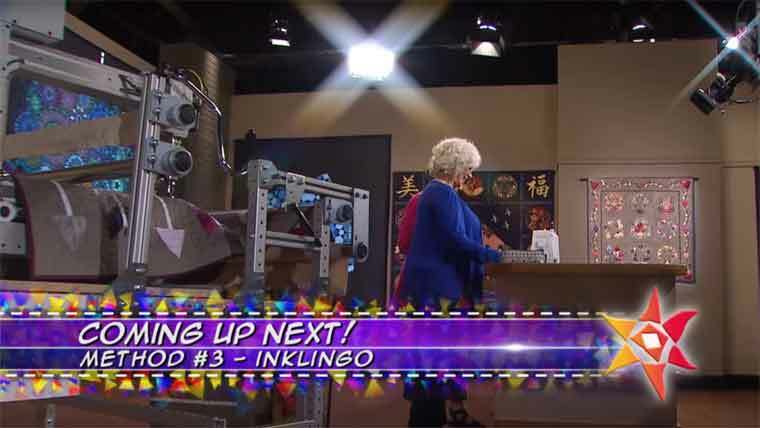 If you love learning from videos as much as I do, you might want to watch some of the replays of my Live Inklingo Videos too. 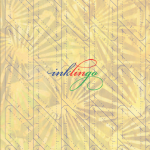 Please remember that you cannot count on Facebook to show you anything from Inklingo anymore, even when you have liked the Inklingo Facebook Page. If you like, comment and share on my page, Facebook is more likely to remind you to visit to see what is new. It is also a good idea to subscribe to the blog, so you don’t miss anything. If you do subscribe, you will receive 4 to 8 emails per month—only when there is something new. If you want to share info about Inklingo with friends, this short video is a good intro. Congratulations to Diane on a great show! 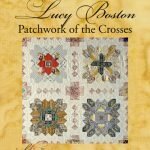 Now that you’ve met her, I think you will want to visit her website to see her Passacaglia quilts too!